If you are considering getting your bathroom renovated, you must have surely conducted a certain amount of research on the Internet for materials and new and trendy bathroom renovation ideas for your Sydney home. While you will find a large amount of information, you may feel that it makes the job even more complex and you may have a tough time figuring out which design will best suit your home. Stick to the theme of your home– It’s important to keep in view that your bathroom is after all a part of your home. So when you are planning its design, instead of just blindly following its design, ensure that the plans and theme complements the look of your home, or else it will stand out like a sore thumb. Keep it simple– It’s true that everyone has different styling requirements and design preferences, but when you keep the basic design complex simple, you are still able to create the look you want by adding special touches with window treatments, tiling highlights, hardware and accessories. That way, it’s easier for you to make little changes in the future, without it impacting the overall look of the bathroom. Use of latest materials– As mentioned earlier, there are a large number of materials to choose from and this can make the choice very difficult. The one way to get it right is to opt for functional, hard-wearing and long lasting materials. It’s also a good idea to choose low maintenance materials. Today, soapstone counters are very much in vogue as are granite and caesarstone ones. Storage– While you are focusing on the aesthetics, it’s also important to keep storage requirements in view. Ensure you have sufficient storage for all your things, and then some more. Use water-resistant materials and ensure that the colours match that of the tiling and overall colour theme. Create some drama– Who said that bathrooms have to be plain? You can create a very unique look by using some bright colours very creatively with the subtle and light ones. Use accents and accessories to create an impact. When it comes to having the best ideas for bathroom renovations in Sydney-based homes, getting it right is a lot about customisation. Advanced Bathroom Renovations is a reputed and credible company in this space and over the years we have created a distinct niche for ourselves. We are the specialists that provide custom solutions that are right in line with the styling, functionality and budget requirements of our customers. If you are planning on getting your bathroom renovated, we are the company to call. For more information, just call us at this number-0412 276 517. Alternatively, send us your queries via this online form. If you are planning on renovating your bathroom, you must be eager to know what the latest design trends for 2016 are. 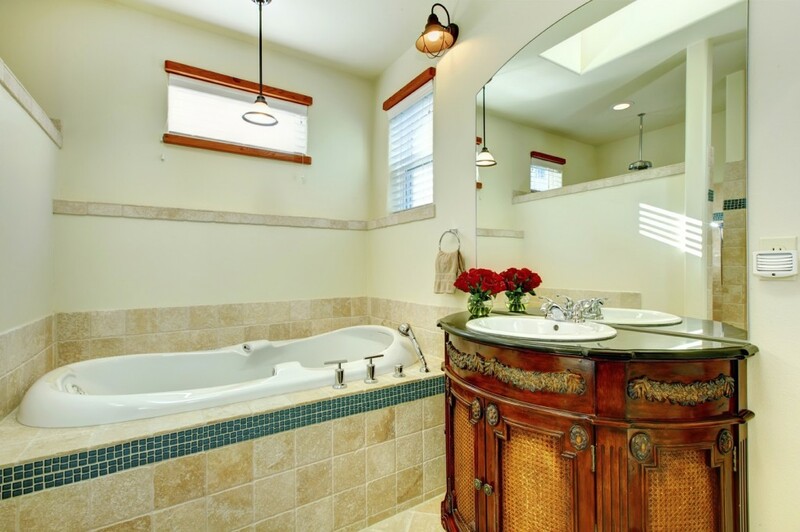 A bathroom remodel is something that has to be planned carefully. There are a number of services that have to work in tandem, such as plumbing, masonry, cabinetry, painting and electrical, and it’s important that you choose all the elements with care. Though it’s a good idea to be in-sync with the times with your decorating plans, it’s also very important to keep the design theme of your home in view, at all times. What is the Importance of Bathroom Renovations? When the time comes to renovate your bathroom, do you find yourself wondering what purpose it could solve, what is the extent of work that needs to be done? How inconvenienced would you be if the renovations are going on? Renovating the bathroom can be a time consuming and costly affair. It could also turn out to be a creative marvel, leaving you wondering why you didn’t take up the work earlier. The bathroom being a very personal space, you would want it to suit your functionality & aesthetic requirements. The work in the bathroom has to be a synergy between design and function. A nice, clean well done up bathroom is so wonderful to use. But to keep the bathroom, nice clean and luxurious, it needs to be designed appropriately and be well maintained. When it comes to bathroom renovation and design, everything has to be as per your personal taste, because it’s your personal space!